At Clamoring for Change, we not only believe in seeking change, we believe in experiencing change. While simply demanding change rarely results in meaningful, lasting, and transformative change, experiencing change almost always leads to meaningful, lasting, and transformative change. There are a number of voices within society demanding change. 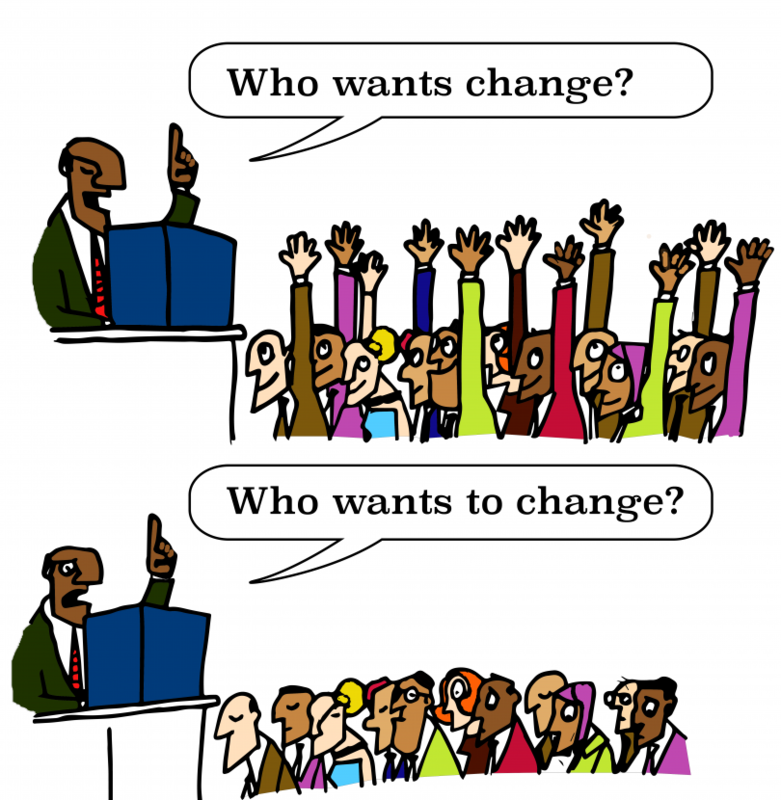 While there is often disagreement regarding what kind of change is needed and what is needed in order to bring about change, one thing that is often common among those demanding change is the belief that “others” are the ones who need to change. Often when we refer to “change” we are referring to something that others need to do rather than something we ourselves need to do. It is this belief that “others” are the ones who need to change that contributes to much of the polarization (and lack of change) in society. Unfortunately, media (especially social media) often strengthens and affirms our belief that others are the ones who need to change. Most of us gravitate toward media sources that affirm many of the negative views and beliefs we have about others. These sources often function as “echo chambers” that filter the information we receive so that they largely support our existing opinions and affirm and strengthen our belief that “others” are the ones who need to change. Most media sources present single ideological perspectives (e.g. “liberal,” “conservative,” “moderate,” etc.) that resonate with perspectives we already have. Clamoring for Change, however, seeks to create a space that welcomes multiple ideological perspectives and that encourages engagement with and conversation across multiple perspectives. Clamoring for Change is based on a practice known as “invitational rhetoric,” which argues that the primary objective of rhetoric is understanding rather than persuasion. An underlying premise of this site is that genuine “change” is a product of understanding rather than persuasion. It is our belief that change is not primarily about persuading and convincing “one side” to see things the way that “another side” sees them. Instead, change is about all sides ending up with new perspectives that can only be arrived at through engagement with and understanding of others. Our belief is that “change” is something that needs to be experienced by ALL of us. While experiencing change is far more difficult than demanding change, if you are willing to go beyond simply demanding change and are willing to risk experiencing change, then this site is for you. If you wish to learn more about how the site works, read our Rules of Engagement.